A student skilled at his craft or learning is often the hard work of a dedicated teacher; someone who took the pain to make the student understand the facets of knowledge and its practical applications. Learning to speak a language has a great to deal with a teacher’s ability to teach the student in the same way. Today, English happens to be one of the most commonly spoken language around the world. Most of the written communication is in English, schools often incorporate English as it second language and children are taught to speak in English language from a very young age. In the era of the information age, English happens to be the medium for transfer of knowledge. Digital media and the internet use English language for content as well as communication. Overall, it is very hard to deny the application of English in our current lives. As with any language, English too has its difficulties and the common man can struggle with it when it comes to grammar and speech formation. Besides grammar, the correct pronunciation often gets mixed with the local dialect and comes out sounding gruff and poor in texture to the trained ears. Hence, a proficient teacher often proves useful in training the nuances of the language and helps in proper construction of speech and sentences. BAFEL is a known institute for training many people in the English language. And this attribute is associated to our well trained teachers. Teachers with BAFEL are not like the ones you find in schools or colleges; instead, we are more practical in our approach to our students. Academic studies are often one-way flow of knowledge absorption with periodic tests and assessments that determine the student’s grasp on the subject. However, when it comes to learning a language like English, we engage in a two-way communication with the student. We engage in interactive sessions with the students and bring out perfection in writing as well as speaking the language. Learning English can be fun too. And we, at BAFEL, have the best staff that is outgoing and reaches to the student’s inner child and groom them into a better personality. We have a variety of courses for every student – right from homemakers to professionals to students. Every year BAFEL gives out confident students to the society and each of them has made a great impact in their chosen field of pursuits with exemplary results. 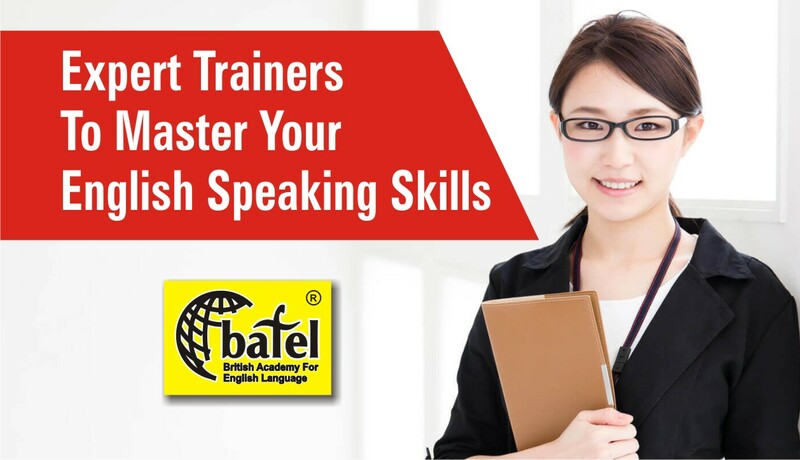 BAFEL offers personality development courses as well as preparations for professional exams like OET, TOEFL, IELTS, etc. We address the core problems in the English language. One of the common, recurring mistakes that students do is that they try to translate words from language to another. This often takes them away from the correct expression that a language naturally offers. And people do it quite naturally without a second thought, that it takes root in their psyche and often feel that they are doing it correctly. This is true for every language that a person tries to learn. This fundamental mistake is directly addressed by our trainers by providing substitute or proper words, pronunciations and grammar tips that it makes the language sound authentic. It also corrects the pattern of sentence construction and speech and often leads to a well-polished reflection of learned behavior. Make an appointment with us today and learn the basic structure of our course material. Learn English without any hiccups and bring about an overall change in the way you speak and write English.